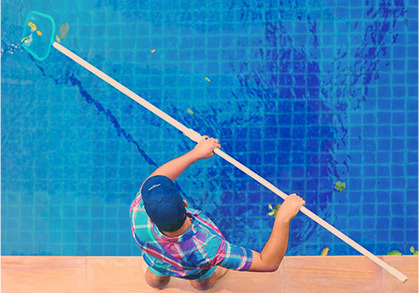 Whether you’ve had your pool for years or you just got one installed over the summer, you’ve likely come across many myths that have circulated through the years. While most of the myths are relatively harmless, it’s still a good idea to brush up on the facts so you have a better understanding of how to get the most out of your pool and keep it healthy. Today, we’re going to debunk eight of the most common swimming pool myths you might have heard. 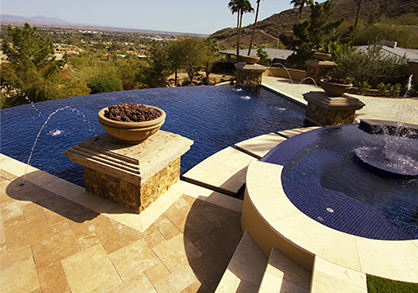 If you want to make sure your pool is safe and healthy, call the pros at Universal Pool Service in Goodyear. This myth started to gain traction when people became fearful regarding chlorine. As that fear grew, more people made the decision to go with a saltwater pool, under the assumption it wouldn’t require chlorine. Unfortunately, this isn’t the case, as saltwater pools require chlorine just like any other pool. Through the use of a saltwater chlorinator, the salt in the water is broken down into chlorine to keep the water clean. Salt isn’t able to sanitize a pool on its own, so it needs some extra help to get the job done. It might come as a surprise, but chlorine has been used in our drinking water supply since 1908. In fact, chlorine is safe until it is exposed to organic compounds. While there may have been some incorrect information stating the hazardous nature of chlorine, as long as you are using the right amount and you’re monitoring the amount of organic compounds in the pool water, maintaining a safe level. When you’re planning on going for a swim, you might think it’s redundant to shower beforehand. After all, you’re about to get into water, why double-dip? The reality is our bodies are covered in a variety of organic compounds. In everything from urine and sweat to body oils and cosmetics, you can find potential contaminants. Reduce the amount of organic compounds added to your pool water by taking a shower before you go for a dip. It really does make a difference. Few things look as refreshing as a crisp, clear pool on a hot summer day. Naturally, that clear water has to mean it’s clean as a whistle, right? Sadly, that’s not necessarily the case. Even in the clearest of pools, there can be unhealthy levels of microorganisms that call your pool home. So just because your pool looks clean, that doesn’t mean you should skip your normal cleaning processes. While it is true that your pool water has been disinfected, and that chlorine has been proven safe for consumption in small amounts, that doesn’t mean you should drink your pool water. Yes, our drinking water does contact some chlorine, but it comes straight from a faucet, which means it is exposed to the elements minimally. In contrast, the water in your pool is constantly exposed to the elements, which adds all sorts of contaminants you don’t want to consume. Additionally, when those contaminants mix with the chemicals in your pool water, it makes for something you definitely don’t want to drink. This is a myth that has been around for many years, but the reality might actually surprise you. If your eyes are red or itchy after you go for a swim, it is not because of the chlorine in the water. This is actually caused by abnormally high pH or chloramine levels in the pool, while also being an indication that there isn’t enough chlorine in the pool. Make sure you’re monitoring the pH and chloramine levels in your pool to ensure you avoid this uncomfortable feeling. Another long-time myth incorrectly attributed to chlorine. This dyeing effect is actually caused by copper in the water, which is added to control algae growth. If you don’t want to come out of the pool looking like you’re playing at Warped Tour, you can wear a swimming cap. Otherwise, you can just shampoo your hair after you’re done swimming to get rid of the copper before it has an effect. Your pool should not have an overwhelming chemical smell if it is clean. If you notice a strong smell coming off your pool, it means that the chlorine in the water has mixed with exceptional amounts of contaminants. That strong smell is a clear indication that something is wrong with your pool and your water should be tested as soon as possible. Having a pool in your backyard is a sure fire way to have a good time. However, that good time comes with a lot of maintenance and cleaning that needs to be done. We hope you’ve found this helpful as you keep your pool healthy and safe going forward. It’s important to stay educated regarding proper pool care while steering clear of misinformation and myths. 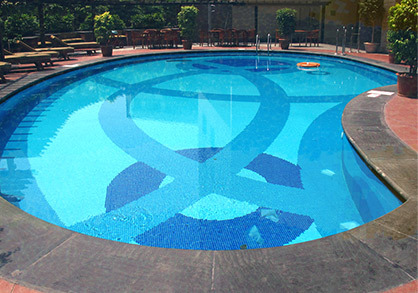 If you want to ensure your pool is in tip-top shape, contact the professionals at Universal Pool Service. We’re proud to serve Goodyear, Surprise, Litchfield, Verrado, and Avondale. Call us today to schedule your appointment!